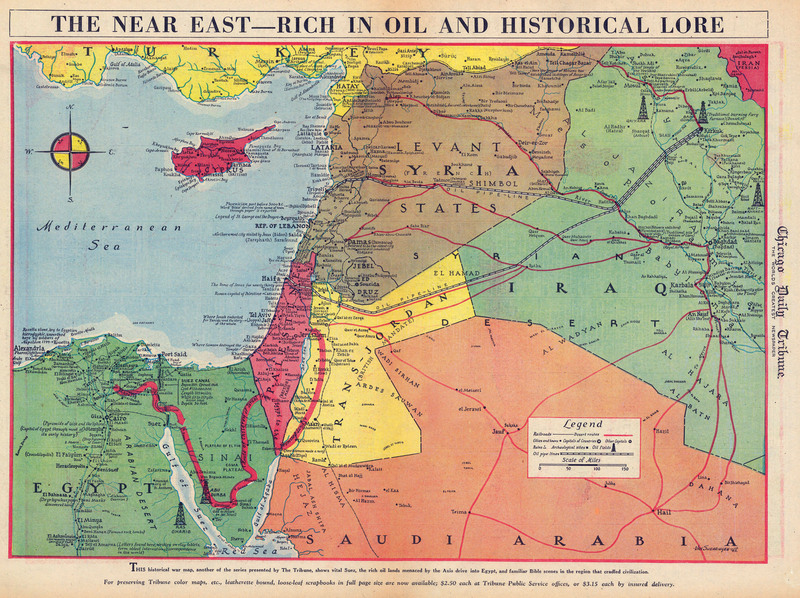 Before World War I, Transjordan was not a single administrative entity. It was a collection of Vilayets and Sanjuks of the Ottoman empire. It was generally a quiet region of the Ottoman empire with little economic activity to support a substantial population. Britain's first political concern with the area was as late as the 1830's and only then as a result of French diplomacy. Mohammed Ali of Egypt temporarily displaced Ottoman rule in the area with the tacit agreement of the French. The French used Ottoman treatment of christians in the holy lands as an excuse to extend their influence over the area. However, Britain and Russia came to the diplomatic rescue of the Ottomans and compelled Mohammed Ali to withdraw from the area. Partly to placate the French, special agreement was made with the Ottomans to allow the French to protect Catholic citizens and the Russians to protect Orthodox citizens of the Ottoman empire. British (and other European) citizens in the area were granted extraterritorial legal status. However, with the exception of this incident, British involvement in the area was extremely limited throughout the Nineteenth Century. At the turn of the century it was clear that the Ottomans were beginning to draw closer to the Germans and the triple alliance. This was unsettling to the British who were continuously concerned with securing the communication routes to the Indian subcontinent. The British held the Suez canal and had entered into protectorate agreements with many Arab leaders in the gulf. Consequently, they began to attach strategic importance to this part of the world. Meanwhile, The Germans had funded and built the Hijaz railway line that went from Damascus to Medina and passed through the lands that would become the Transjordan. Economic activity increased slightly as a result, but so did the number of Ottoman troops stationed to protect the line. The local arabs despised the Ottoman overlords and regarded them as little more than hostile soldiers of occupation. With the outbreak of war, it was not difficult to persuade some of these Arabs to rise up and fight the Ottoman rulers. The job of persuading them to do so was left to the British High Commissioner in Egypt, Sir Henry McMahon. He had entered into correspondence with the Sharif of Mecca; the Hashemite King Hussein. This correspondence seemed to promise the Arabs their own state stretching from Damascus to the Arabian peninsular in return for fighting the Ottomans. However, not only was the correspondence deliberately imprecise but a number of Arabs and tribes were themselves ill disposed towards the Hashemite dynasty. Despite these problems, the Sharif of Mecca formally declared a revolt against Ottoman rule in 1916. Britain provided supplies and money for the Arab forces led by Abdullah and Faisal. British military advisers were also detailed from Cairo to assist the Arab army that the brothers were organizing. Of these advisers, T.E. Lawrence was to become the best known. Indeed, the waters were even further muddied by a third commitment entered into by the British in 1917. the British government made a promise to prominent Jews in Britain that the establishment of a Jewish homeland in Palestine would be looked on with favour by the British. The reason for this pledge is not exactly clear, but it seems to have been made for two reasons. The first was to secure financial support from prominent Jewish financiers in Europe. The second seems to have been a way of breaking their own secret arrangement with the French and Russians by promoting their own influence into Palestine at their expense. Whatever the reason for this diplomatic chicanery, the diplomatic timebomb of these conflicting promises was about to explode as a direct result of the Russian revolution. The newly formed Bolshevik government took great pleasure in releasing the imperialistic designs of the British and French governments by publishing the Sykes-Picot agreement publicly and in full. The idea was to expose these capitilastic nations as morally bankrupt in their prosecution of the war and these secret agreements seemed to confirm that fact. The publication of the Sykes-Picot agreement was not to be as politically devastating as feared for the simple fact that, at this point in time, the Arabs were advancing swiftly and assuredly against their Ottoman enemies. The Arabs felt that if they could make even further gains against the Ottomans that they would have more leverage in dealing with the imperial powers after the fighting had finished. The British were also advancing steadily through Palestine, capturing Jerusalem in December 1917. The British decisively defeated the Turks at Megiddo in September 1918, although the Arabs managed to enter Damascus before the British were in a position to do so. The Ottomans capitulated soon after leaving all of their previous dominions up for grabs. The peace conference was used to impose allied plans and ideas on the defeated Central Powers, amongst whom was the Ottoman Empire. Faisal travelled in person to the peace conference to set forth the case of the Arabs in the divisions of the lands that they inhabited. He was not to be successful in promoting Arab independence, but had some success in persuading a border commission that Jewish immigration was not a good idea. Unfortunately, by this time, the British had already been declared as holding the mandate over Palestine and had independently reaffirmed the Balfour declaration opening the way for a Jewish homeland. Meanwhile, a group of Arabs convened a congress in Damascus claiming an independent Syria with Faisal as the king. Soon after, Abdullah was declared as king of Iraq. The League of Nations Council rejected both pronouncements, and in April the San Remo Conference decided on enforcing the Allied mandates in the Middle East. French troops occupied Damascus in July, and Faisal was served with a French ultimatum to withdraw from Syria. As a response to this action, Abdullah raised a force of 2,000 tribesman and advanced towards Damascus with a view of returning Faisal to the throne. By the March of 1920 he had advanced as far as Amman and was about to invade the French mandate of Syria. At this point, the British High Commissioner for Palestine intervened, calling for a conference of Arab leaders at As Salt. The Arab leaders were open to the idea partly as a response to the success of the fundamentalist Wahabbis in Arabia under the leadership of Ibn Saud. His power and influence was growing throughout the region at the expense of traditional rulers and families. So, when the High Commissioner offered Abdullah the leadership of Transjordan and a hefty financial subsidy the Hashemite ruler quickly called off his invasion of Syria. As part of the deal, his brother Faisal was offered the position of king of Iraq. The advantages for the British were clear, not only had they prevented the invasion of their allies lands, but they had also formed a reasonably legitimate and a strong bulwark state to protect their other interests in Palestine and Egypt. This strategic thinking was confirmed by Winston Churchill at the Cairo conference on Middle Eastern policy held in 1921. Britain subdivided the Palestine Mandate along the Jordan River to Gulf of Aqaba line. 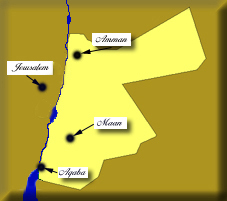 The eastern portion, called Transjordan, was to have a separate Arab administration operating under the general supervision of the commissioner for Palestine and with Jewish immigration specifically avoided. The League of Nations agreed and confirmed the borders of this mandate the following year. Not for the first time, a state had been created for the express strategic convenience of the British. In 1923 Britain recognized Transjordan as a national state preparing for independence. Under British sponsorship, Transjordan made steady progress along the path to modernization. Roads, communications, education, and other public services slowly but steadily developed, although not as rapidly as in Palestine, which was under direct British administration. Tribal unrest remained a problem, reaching serious proportions in 1926 in the Wadi Musa-Petra area. The lack of real independence of the King Abdullah was clearly shown by the creation of a new military force in early 1926. The British high commissioner for Palestine created the Transjordan Frontier Force (TJFF) to defend Transjordan's northern and southern borders. This newly created force was directly responsible to the British high commissioner, rather than to the Amir. It also had the effect of seriously undermining the effectiveness of the Arab Legion, which was under the Amir's control. However, Britain and Transjordan took a further step in the direction of self-government in 1928, when they agreed to a new treaty that relaxed British controls while still allowing for Britain to oversee financial matters and foreign policy. The two countries agreed to establish a constitution, the Organic Law, later the same year, and in 1929 to install the Legislative Council in place of the old executive council. In 1934 a new agreement with Britain allowed Abdullah to set up consular representation in Arab countries, and in 1939 the Legislative Council formally became the amir's cabinet, or council of ministers. In 1930, with British help, Jordan launched a campaign to stamp out tribal raiding among the beduins. A British officer, John Bagot Glubb (better known as Glubb Pasha), came from Iraq to be second in command of the Arab Legion under Peake. Glubb organized an effective bedouin desert patrol consisting of mobile detachments based at strategic desert forts and equipped with good communications facilities. When Peake retired in 1939, Glubb succeeded to full command of the Arab Legion. Britain maintained its high level of control over this mandate with the liberal use of money and by placing British advisers in key positions of influence and importance. The lack of real legitimacy by the Hashemite rulers meant that the Emir could not complain too loudly for fear of being ousted. The extent of the Hashemite's dependence on the British was made evident in 1925 when the last Hashemite Sharif of Mecca was finally overthrown by Ibn Saud. With the creation of Saudi Arabia, the Hashemites were even more indebted to the British than before. Transjordan was first and foremost a strategic outpost of the British empire. Although it was not a rich country by any stretch of the imagination, the fact that it lay near vital lines of communication was enough to maintain Britain's interest in the area. Palestine and Suez were the primary concerns of the military thinkers, but the overland route that Jordan provided from Iraq was also a further strategic factor. It's strategic importance was illustrated during World War II when Abdullah demonstrated his loyalty to the British by providing real military help when it was needed. Units of the Arab Legion served with distinction alongside British forces in 1941 overthrowing the pro-Nazi Rashid Ali regime that had seized power in Iraq and defeating the Vichy French in Syria. Later, elements of the Arab Legion were also used in guarding British installations in Egypt. Transjordan was a poorly resourced nation. It's farmlands were of poor quality and it had little in the form of natural resources. It was disappointing that oil was found in their neighbours lands but none in Transjordan itself. British subsidies were essential in keeping the nation running on a day to day basis. Trade with Palestine was encouraged but Transjordan never seriously rivalled its neighbour in terms of production. It was only with the financial exhaustion brought on by the end of the second world war that saw the British attempt to pull back from financial and political responsibility for this mandate. On March 22, 1946, Abdullah negotiated a new Anglo-Transjordanian treaty, ending the British mandate and gaining full independence for Transjordan in exchange for providing military facilities within Transjordan, Britain continued to pay a financial subsidy and supported the Arab Legion. A series of international events was to sour the relationship between the regime and the British. The first was the Russians, who were suspicious of Britain's backing for the regime and refused to allow the independent nation to join the newly formed United Nations. The second was the creation of the state of Israel. Officially the British had handed over the creation of Israel to the United Nations to consider. Unofficially, many Arabs thought that the British had renegged on previous agreements to them. Military conflict quickly ensued between Arabs and Jews. Poorly trained Arabs from states neighbouring Palestine advanced into the former mandate. However, they were quickly beaten back by the highly motivated Jews. Only the well trained Arab League performed with distinction and successfully seized a large area of the West bank up to Jerusalem. The success of this unit did something to restore Jordanian and British trust. Unfortunately, the British were to be further humiliated in 1956 by events in the Suez. Nasser's successful outmaneouvering of the British gave a huge boost to Arab nationalism. King Hussein was forced by these feelings of nationalism to overcome his friendly disposition towards the British and to relieve all the British commanders from their positions in the Arab League. The following year, the Anglo-Jordanian treaty was revoked as Arab nations, fresh with oil funds, promised to subsidize Jordan with an amount of money that would free it from dependence upon the British subsidy. Despite the strain that these events had put on Anglo-Jordanian relations, the two nations have remained surprisingly close in post-independence years. n.b. The flag with the green bar in the middle is from the Arab revolt of 1917. The green and white bars were switched in 1921.